Lemon desserts are the way to get that sweet and tart fix that you crave! Feast your eyes on these desserts using fresh lemons to give you that bold and zesty flavor that will leave you wanting more! Before I get started with all of the yummy gluten free lemon desserts, I want to talk a little more about one of my favorite things… lemons :-). How about lemon peels? They both help add flavor. The outside of the lemon packs a flavorful punch and adds a new dimension of lemon to your baking and cooking. Here is a link to all of the delicious lemon recipes on the blog, both sweet and savory! Our lemon tree is blooming and I am loving the sweet fresh lemons for baking and cooking. Our new favorite treat is a lemon slushie. To make it add a peeled whole lemon into a Vitamix or blender. Add ice, a little water, and 5-6 drops of liquid Stevia. Blend and serve…it is so refreshing!! Lemon zest will give your food a nice zing of citrus. The lemon rind has natural oils that will add bold flavors that can complete a dessert or dinner dish. Grab whatever tool you want to zest your lemon with whether it is a microplane, paring knife, vegetable peeler, or even a citrus zester. Then in one direction remove a very thin layer of the peel. You want only to remove the colored skin and leave the white alone. 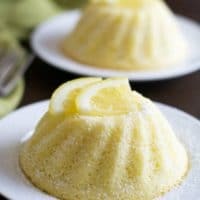 Dinner Party – I promise if you make any of the lemon desserts in this list, your guests are going to rave about how amazing they are. Bridal Shower – These lemon treats are perfect for an elegant bridal shower. The bride and her guests are going to fall in love with the look and taste. Birthday Party – Why not try something a little different for the next birthday party you throw. Lemon desserts are always a hit and they add a sweet light flavor to compliment any meal. Barbecue – Nothing is more fun than having friends and family come over for a barbecue. The fresh flavor of lemon just screams summertime! Everyone is going to beg you for your recipes too. Yes, you can freeze lemons. Freezing a lemon whole will result in a mushy center, so they are best if used for baking or using the juice. Freezing fruits is a great way to save them if you have a lemon tree and get too many at once. 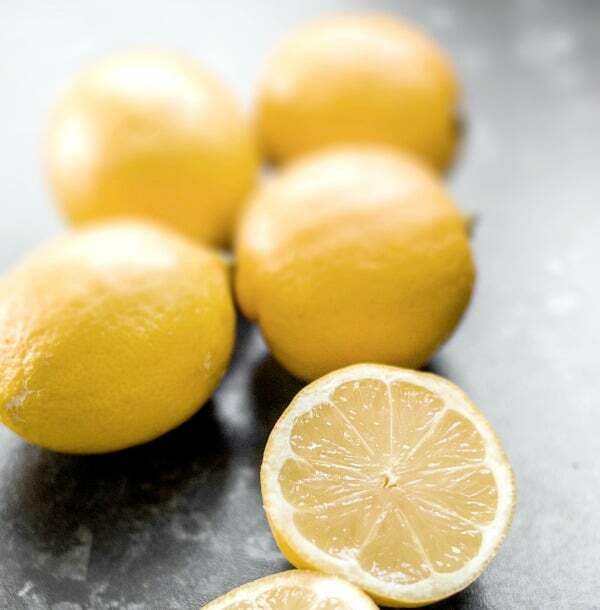 Slicing the lemons and storing them in a freezer bag or airtight container is a great way to keep them longer. They will last six months to a year in the freezer. To thaw them, place them in the fridge overnight or sit on the counter until they have defrosted. You can juice them and add it to baked goods, fish, salads or anything else you need some zesty flavor. 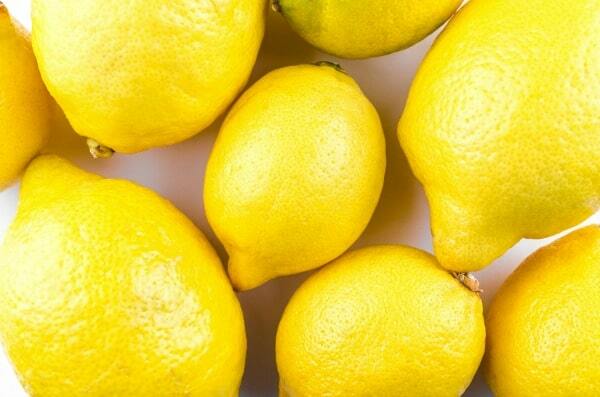 What Nutrients Are In Lemons? Lemons are loaded with tons of healthy nutrients! They are citrus fruit that has lots of vitamin C, antioxidants, folate, and minerals. 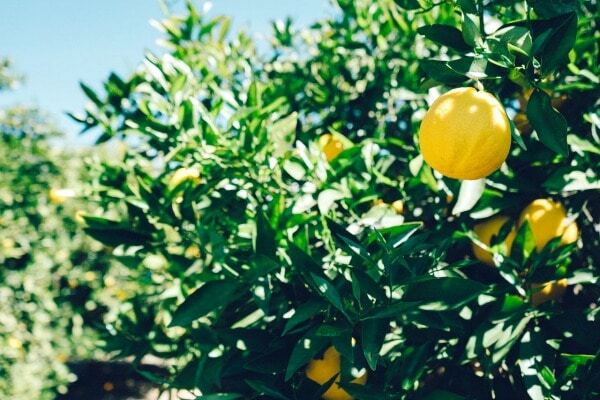 Each tasty lemon also has iron, fiber, potassium, magnesium, and more. 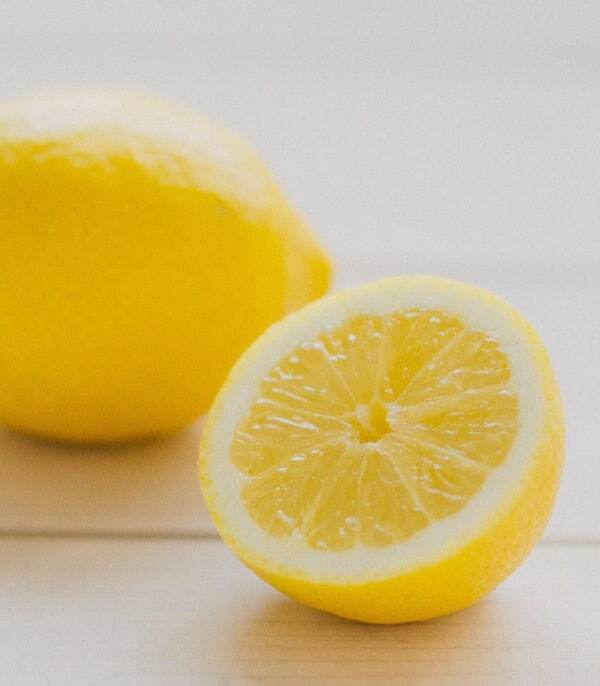 Lemons are also great for detoxing and keeping your liver happy, so don’t forget to add a slice of lemon to your water! How To Tell If Lemons Have Gone Bad? There are several ways to tell if lemons have started going bad. If you notice the flesh of the lemon has become discolored or extra soft you should discard. (We always see this if a lemon sat too long.) White spots or if the lemon is slimy then it is a good indication it is past its prime. If you ever notice a lemon is oozing juice, then it is for sure time to throw it out. Lastly, if you notice a stinky pungent odor, then the lemon has spoiled and should be discarded. What Kinds Of Food Can You Make With Lemons? Cakes, muffins & pastries – This roundup is full of delicious recipes that will please your palate and use up your lemons. Marmalades – Use the marmalade in dressings, marinades or in pastries. No matter how you use it, it is going to taste amazing! Meat – Add lemon juice to your chicken, fish or salad to give the dish some extra pizzazz. Drinks – Add lemon to your water, tea, juice or other beverages. You will get a fresh, zesty flavor no matter how you use it. You will also want to try this Tequila Lemonade Cocktail recipe :-). Let’s get serious now and drool over all of the lemon desserts on my blog. There are a ton of them, I can’t help it because lemons are my thing…and having a giant lemon tree in the backyard definitely helps!! The best gluten free lemon desserts. You will find lemon cakes, cupcakes, ice cream, and bars. 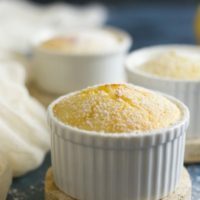 Fresh lemon desserts are perfect for a party! 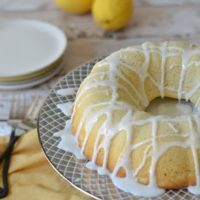 This big lemony Gluten Free Lemon Bundt Cake is a delicious dessert for a party. Lemonade icing is the perfect topper to drizzle on, or you can pipe vanilla frosting onto it. Lemon curd is the star of these Gluten Free Lemon Filled Cupcakes. 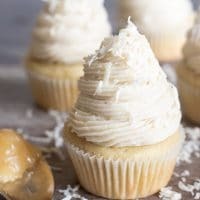 Topped with a delicious cream cheese frosting and shredded coconut. These light and fluffy Gluten Free Lemon Yogurt Cakes make a fancy dessert that will please a crowd! 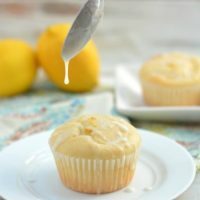 These fluffy Gluten Free Lemon Cupcakes are topped with an easy Lemonade Icing. You can use frosting if you prefer. These cupcakes are also dairy free! 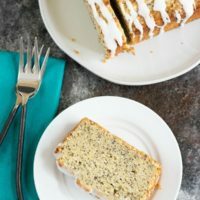 Nothing says good morning like this Gluten Free Lemon Poppy Seed Cake. It is moist and full of delicious lemon flavor. If you are paleo, these Paleo Lemon Bars are for you. No refined sugar or grain, these make a healthier treat. Get ready for a party with this delicious Gluten Free Lemon Tart recipe. You will love how easy this tart is to make! 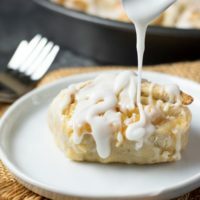 Here is a fun twist on cinnamon rolls. These Gluten Free Lemon Sweet Rolls have juicy lemon curd rolled into the layers. 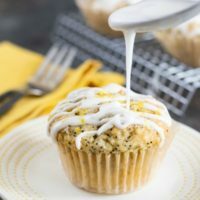 If you are a muffin person, you will be surprised at how light and fluffy these Gluten Free Lemon Poppy Seed Muffins are. Topped with Lemonade Icing, or enjoy without the icing if you are cutting back on sugar. These Gluten Free Lemon Sour Cream Cakes are a bit like soufflés. They puff up while they bake, and sink slightly when you take them out of the oven. They are creamy and delicious! 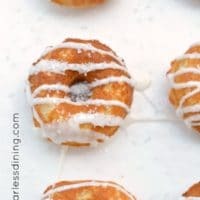 If you are a donut person, wait until you take a bite of these Gluten Free Lemon Donuts!! Iced or plain, they are hard to resist. These little donuts are also dairy free! This Gluten Free Lemon Cake is perfect for a party, wedding, or any occasion. It even makes stellar cupcakes. Lemon cake and lemon curd layers make it a winner. This classic British dessert can feed a crowd. 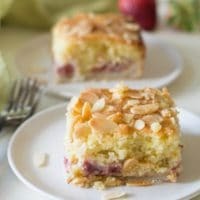 Gluten Free Bakewell Tarts have a pie crust on the bottom and fruity filling. 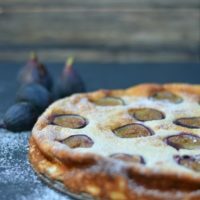 This Gluten Free Fig and Lemon Yogurt Cake is another soufflé style cake that you make in a springform pan. It will rise up high while baking! You can use any fruit if figs aren't in season. 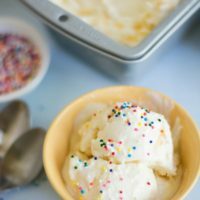 Lastly, I knew I had to include an easy no-churn ice cream recipe. This Lemon Curd Ice Cream is easy to make, and is full of creamy flavors. You are speaking my language! 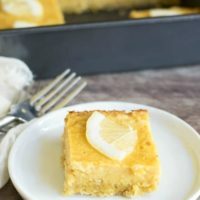 I love citrus anything, and you have a wonderful collection of lemon recipes for me bake through!